In 1985, five young, local musicians got together and began playing old blues songs in a rambling three-story house in Philadelphia. They decided to take the act on the road as The Dukes of Destiny, a name they got from a matchbook cover urging the reader to “Be the Captain of Your Own Destiny.” At first, The Dukes of Destiny played house parties in Germantown, generating interest by word of mouth. A gig at the now-defunct Taker’s Café in Germantown launched their public career, and 30 years later, they are still playing some of the hottest, most danceable blues and old school soul in the Philadelphia area. Today The Dukes of Destiny reign as Philadelphia’s longest-lived and best loved blues act. There have been changes in the act: guitarists left and came back, bass and sax players moved and or left the band, and sadly, singer and founder Steve Brown died in March of 2000. But the approach and commitment of the band has remained constant for 30 years, resulting in a band with a unique tightness and an original approach to the music. With a mix of powerful original songs and unique arrangements of blues standards, The Dukes of Destiny continue to grow and develop as they share their music through countless live performances and recordings. Rich Curtis, bass, and vocals, joined The Dukes of Destiny in 1995, is an alumnus of the Philadelphia Boys Choir and has played in and around Philadelphia with acts of different genres such as Medea (Original Rock), The Revival (Classic Rock), Blue Lightning (Jazz), Matt Sevier (Original Rock), Fivves (Jazz/Soul), The Courtesy Shuttle (Jazz-Fusion) and AC Steel & The Galvanizers (Blues). Bob Holden, drums and vocals, started playing drums when he was 10 and was in his first band at the age of 11. In 1976 he joined the South Jersey band, Quincy, which was signed to CBS Records in 1980. He then joined Lu Lu Temple, also on CBS records. Bob joined The Dukes of Destiny in 1985 as a founding member. He has played with Louisiana Red, Otis Rush, Jessie Mae Hemphil, Terry Evans, Eddie Kirkland, Johnny Clyde Copeland, Shemekia Copeland and Andre Thiery. 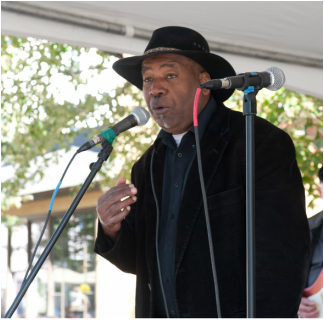 He currently plays with Zydeco-a-Go-Go; The Randy Lippincott Band, and The Dukes of Destiny. Bob can also be heard on recordings by Baltimore blues singer Kathie Jean, folk singer Jamie Watson, Ted the Fiddler, Sister Blue, Randy Lippincott, and Zydeco-a-Go-Go. In addition to music, his passions and hobbies include golf, skiing and auto racing. Bob lives in Boyertown, PA.
lyn Wolters has been with the Dukes of Destiny since 2003. She began her musical career in New York City, with associated acts Dana Fuchs, Ricky Byrd, and Christine Oldman. In Philadelphia, she has performed with Ms. Patti LaBelle, Johnny's Dance Band, Reverend Chris, Wanamaker Lewis, and Rootology. She also performs regularly at senior homes all over the area, and teaches music to preschoolers and performs as Miss Arlyn Music for Kids. 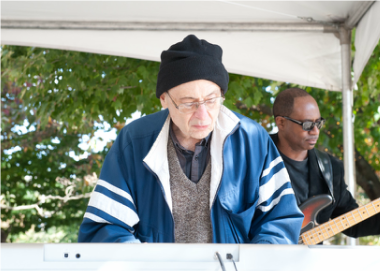 “Chicago” Carl Snyder, keyboards and vocals has been a professional musician for over 50 years, playing in a variety of bands, combos, and performing solo. He was a fixture on the Chicago music scene in the 1980's and 1990's, playing, recording, arranging and bandleading for Buddy Guy, Junior. Wells, Son Seals, and many more of that city’s best blues performers. He can be seen in many of these artist's videos on YouTube. Returning east, he now lives outside of Allentown, PA where he hosts a blues and jazz radio show and runs a small record label. He is a recipient of a Lifetime Achievement Award from the Lehigh County Arts Association. He has been with the Dukes for 10 years, and has contributed arranging ideas as well as his own unique style of playing and singing.